Cryptocurrency run ‘utopias’ are popping up on both land and sea. These blockchain backed projects, outfitted with sustainability technology, paint a possible look into the future. Local news outlet The Nevada Independent, reported today that Bitcointopia, Inc. had purchased several parcels of land in rural Nevada over the past four months. The company’s plan is to design an experimental city outside of Elko that will run on cryptocurrency. Modeled after Walt Disney’s original plans for Epcot, the company’s website describes buildings with “modern glass aesthetics” and “classical masonry,” outfitted with both AI and blockchain technology. The future city will supposedly sport flying taxis and a hyperloop, as well as sustainable resources and renewable energy. Trust me, I understand how crazy that sounds, Bitcointopia is an experiment. The United States government was an experiment. Currently, the company is selling 1-acre plots for 0.5 BTC, as well as prefabricated container homes with a cost of 5-20 BTC depending on size and materials. The website encourages residents to establish clothing, food, and technology companies – further bolstering the bitcoin ecosystem. 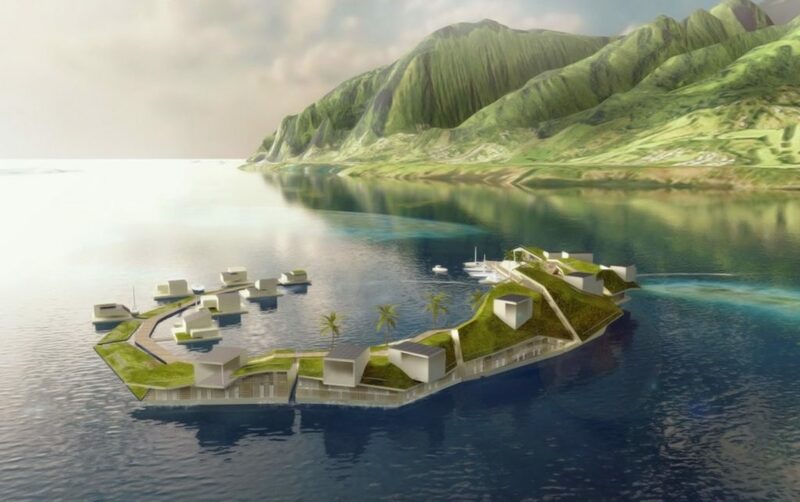 Seasteading Institute, founded in 2008 by venture capitalist Peter Thiel and Google software engineer Patri Freidman, has made significant progress this year with its first project – A 300 home artificial island off the coast of French Polynesia. In 2016, the company began its partnership with the island chain in the South Pacific after United Nations regulations hindered project advancement. The island’s access to fiber optic cable and vulnerability to rising sea levels made it a perfect place to try out the company’s autonomously run man-made island. With an estimated cost of $60 million, the company has been gathering funds through its Varyon ICO (Initial Coin Offering), the official cryptocurrency of the floating ‘utopia’. It is expected that Varyon will be required to purchase seastead ownership and residency. The ambitious project has an anticipated completion date of 2022. Sustainability is a key element, with plans for aquaculture that will allow residents to grow their own food by breeding plants and fish in water. The island will also utilize solar powered energy and will refilter and reuse its own water supply. Floating islands solve two of the biggest problems in the world: Sea level change and the lack of start-up innovation in governance […] We will be living on the oceans long before we live on Mars. 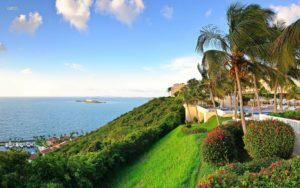 Following the devastation of Hurricane Maria in 2017, Caribbean island Puerto Rico has seen an influx of crypto-millionaires looking to establish ‘Sol’ – a modern utopia run by blockchain technology and cryptocurrencies. Tax incentives alone have made Puerto Rico an ideal choice for those looking to protect their cryptocurrency fortunes. Island locals have had mixed reactions to the arrival of this wealthy elite – with many fearing that the island will become a playground for crypto-colonialism. What do you think about this collection of crypto-driven utopias? Let us know in the comments below! The post Future Utopias in a Blockchain World appeared first on Bitcoinist.com.